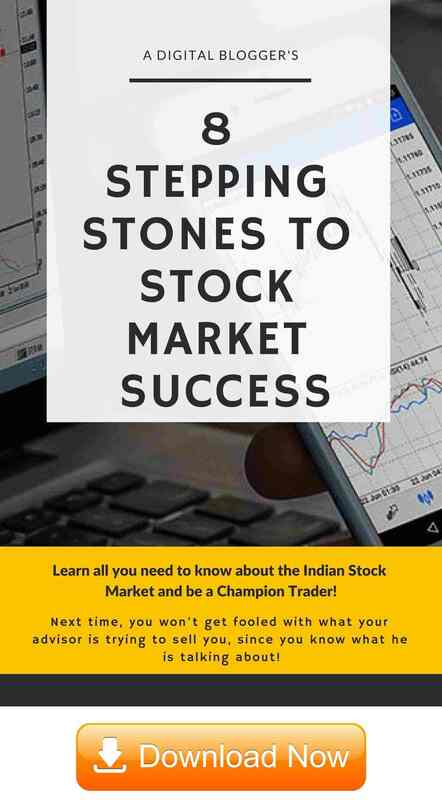 Latin Manharlal is a Mumbai based full-service stockbroker established in the year 1989. The broker is well-known for its advisory and research service and it is one of the best brokers in giving tips and recommendations. Latin Manharlal Franchise business comes with its set of advantages and values to different parties involved. The fact that the broker is pretty old in the industry, helps the partners in multiple ways. Then, as a stockbroker, Latin Manharlal has been serving a diverse customer base including Institutional as well as retail customers. The company has rich experience in the capital market, and at the same time, it provides investment solutions and a wide portfolio of savings also. The broker has various financial products to complete the investment needs of its investors under one umbrella. They offer various products and services to fulfil the needs of every investor. As far as the numbers are concerned, Latin Manharlal claims that they serve more than 40,000 clients along with its business partner network of more than 200 branches. Out of these branches, 7 branches are in Mumbai alone. Presently, the company has a presence in more than 300 cities across India. By starting a partnership business with the broker, you will be able to provide the following products and services to your clients. Latin Manaharlal has the membership of NSE, BSE, MCX, MCX-SX, and NCDEX. Furthermore, the broker provides research services/offerings in the form of commodity reports, pre-market reports, investment calls and trading calls. 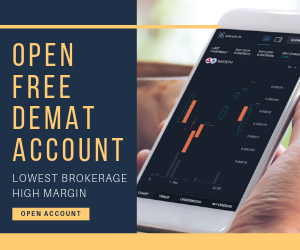 This full-service stockbroker offers simple and problem free services to their business partners so that they can further offer it to their respective clients. By joining hands with the broker you can offer a unique trading platform, chat platform, and back-office software to your clients. In this article, we will try to clear each and every important aspect of the Latin Manaharlal franchise including its business model, revenue sharing ratio, security deposit if any, offers etc. Wide Range of Financial Products: You will get the benefit of all trading products and services under the same roof. Your clients will not have to look out for any product to any other broking house and this will help you to retain your clients for the long-term. Unique trading platform: The broker offers a unique trading platform to the clients. Your clients will experience all advanced feature and its advantages while using the trading platform of the company. 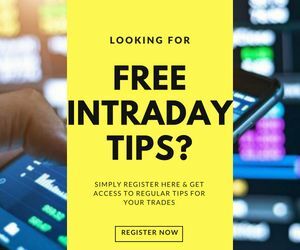 Top research tips in commodity and equity: You can provide your clients with superior research tips which will help them in taking the right investment decision. It will also help in profit generation through intra-day trades and for long-term investments. Regular Seminars: The broker organizes seminars for the clients on the regular time interval. It helps in providing them with important knowledge and information about each product. It makes them understand any new technology or application if introduced by the company for smooth trading. Easy client acquisition: The old brand name of the broker in the company will help you to acquire clients easily. It is already a trusted brand and well-known among the financial market players. So just getting associated with the company will help you to make your client base strong to run your business smoothly. Latin Manharlal offers single business model through which you can associate with them i.e. Latin Manharlal offers Franchise business model to those who want to start a partnership business with them. Under this model, you will get the brand name of the broker and you can sell the products and services of the broker under the same brand name. You will be required to open your own office from where you and your clients will work by using the trading platform of the broker. You will have the right to access all research reports, tools and technology of the company for the trading purpose. You are supposed not to offer these means to any third party. The revenue sharing ratio under this model is comfortable and in line with the industry (more on this later). You will be required to deposit some security money to the company. This model offers you a great opportunity to become a successful entrepreneur. An opportunity to associate with a trusted brand. Right to offer your clients everything used by the broker for trading and investing purpose. 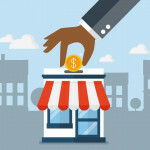 Support in the establishment of your new business. You can plan the brokerage fee of your clients based on their trading turnover and/or initial deposit. The range of revenue sharing ratio is 40%-80%. As mentioned above, this range is in line with the industry. As a business partner of the broker, you can earn as high as 80% of the revenue. It can also be increased based on certain factors like your experience as a broker/franchise, your proposed revenue, security deposit and your bargaining power. The main broker that is Latin Manharlal will keep the revenue in the range of 20%-60%. Suppose, as a franchise, you generate ₹1,00,000 revenue in a month then, you will get a minimum of ₹40,000 as your share and the main broker will get a minimum of ₹20,000 as its share in a month. Like every other broking house, Manharlal also demands the security deposit before signing an agreement with the business partner. This security deposit is refundable when you will exit from the agreement with the broker. Either they will charge some extra money which will be non-refundable or deduct the non-refundable portion of the security deposit. The non-refundable money is used for the fees of the stock membership, expenses of the broker which incurred while assisting in your business like the advertisement, desktop, connections etc. Hence, to start your business, you need to make a minimum of ₹50,000 deposit as security money. Technology support: The broker provides technology support to their business partners like you will get support in trading without any interruption of power. You will get 24*7 power back-up. 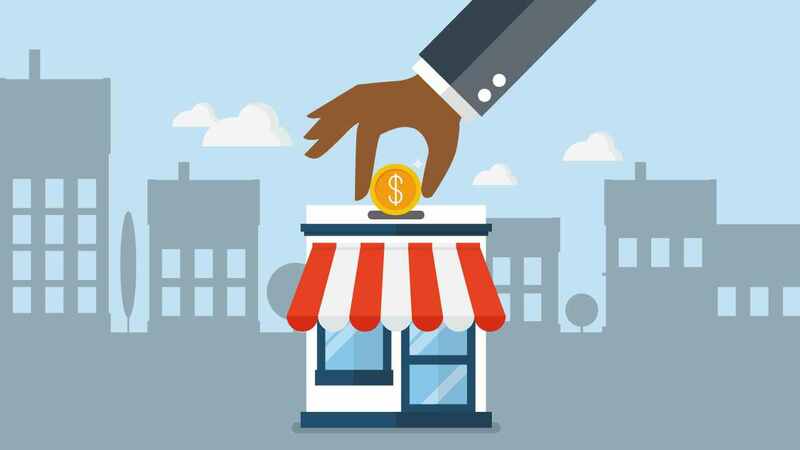 Marketing support: They will support you in the marketing of your business through advertisement like mouth to mouth publicity, TV, Newspaper which will ultimately make your business popular among the traders and investors. Research support: The strong research team of the company will assist you in taking the profitable trading and investing decision. They publish research reports on various time intervals for your support. In order to become a business partner of the broker, you are required to follow the following steps. You will get a call from the customer care executive to confirm your interest in partnership business with the Latin Manharlal. You will get another call from the broker, they will also ask about your interest in partnership business with them. If they satisfy, they will fix an appointment with the sales team of their company. At the meeting, you will be welcomed for any type of questions related to the partnership business with them, they will clear all confusions you may have and also they will make you understand everything related to this from the business model type to the terms & conditions of the agreement. Now, you are required to submit all related documents with a security deposit cheque with the Latin Manharlal for the verification purpose. After verification, they will provide you with an account ID to start your business. Now, you are all set to start a partnership business with the broker and make your business world class. The above steps will take 2-3 business days to complete. Latin Manharlal is a trusted name in the market. It provides a wide range of trading and investment products to the clients and business partners. It has a superior class research team who provides daily tips and recommendations to the investors to do profitable trade and investment. The business partner has an opportunity to get more revenue share by just full-filling some criteria of the broker. One can start a partnership business just by investing a minimal amount as an initial deposit/security money. So, it is clear that the Latin Manharlal can be one of your options, if you want to start a partnership business in broking field. If you are looking to set-up your business in the stockbroking space, let us assist you in getting started.